These huggable stuffed animals are the perfect gift for any little one. 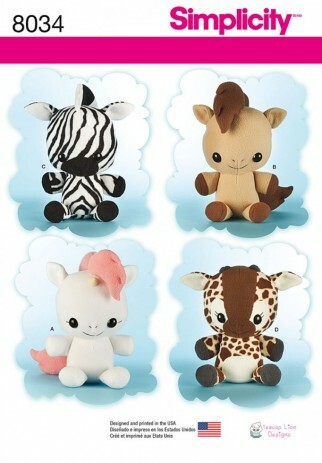 Pattern includes giraffe, zebra, unicorn and pony. Teacup Lion Designs for Simplicity.